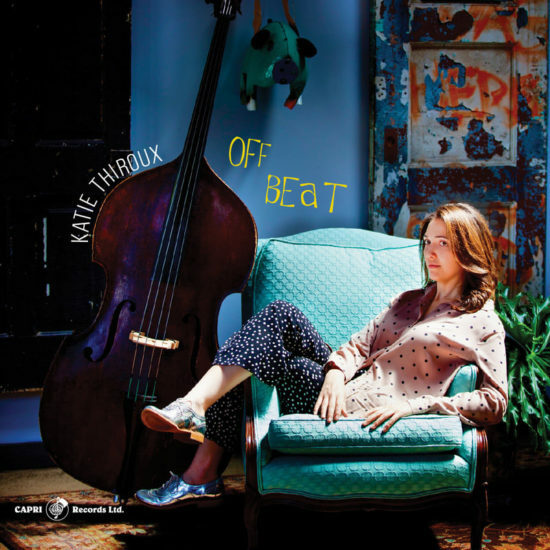 Katie Thiroux album "Off Beat"
Following 2015’s impressive Introducing Katie Thiroux, consider the vocalist-bassist’s Off Beat youthful promise wonderfully fulfilled. For this 10-track outing—nine covers and one original—Thiroux, a Berklee grad and semi-finalist in the Monk Institute’s 2015 International Jazz Vocals Competition, fronts a trio featuring pianist Justin Kauflin and drummer Matt Witek. Ken Peplowski, alternating between tenor saxophone and clarinet, guests on five tracks, with two also showcasing saxophonist Roger Neumann. 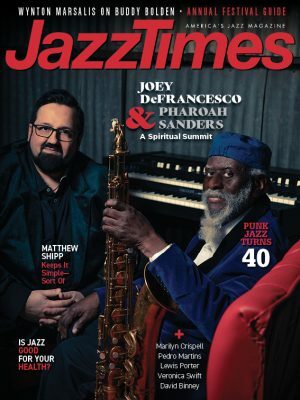 Rounding out the playlist are three instrumentals, two trio-crafted: a multilayered midtempo treatment of the show tune “Brotherhood of Man” and Thiroux’s sultry “Slow Dance With Me.” The third is perhaps the album’s standout, a twilit take on Ellington’s “Happy Reunion” built around the twining of Neumann and Peplowski’s tenors. Preview, buy or download songs from the album Off Beat by Katie Thiroux on iTunes.